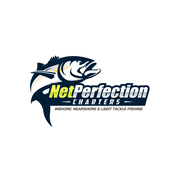 "We wanted a brand logo that would stand out when we market the logo on our products as well as our fishing team and shadowcaster gave us exactly what we wanted for our brand. We would like to thank him for the awesome design." "My design came out even better than I thought . Great job "
"Excellent Creativity and design. Very responsive and open to suggestions." "Working with Shadowcaster was great, he stood head and shoulders above the other designers. He was very responsive and quick to make changes. -Brian "
"Thank you! Great job. " "I really liked our designer and what he did for us. The one challenge was the time difference. " "This is not the first time I have worked with this designer. He is fast responsive, professional, and most of all good at what he does. I highly recommend!!" "Great designer to work with. Very easy to update and change items. Would recommend 100%"
"The design was for a new type of fishing lure. It is unique and wanted to show the modern flare in the logo. Shadowcaster has a willingness to work with you and wants to achieve. He is connected to the outdoor world and it shows! Thanks Shadowcaster..."
"great work by a very talented graphic designer! Would recommend this designed to anyone looking for great graphic designs!" "Very responsive to changes and fast work. Second work from the Shadow and still please. Will be back again." "Greta design and response time!" "Great designer to work with--very talented! " "great work by a very talented design! " "Very committed to getting it right and took my changes and made it happen to the end!" "The best in the game!!! Great work Shadowcaster!! Thankyou!" "very intelligent, good design, also friendly and cooperative. While possible because he is so popular and very busy, sometimes need a little more time:) For sure we will cooperate with him in a long time." "I am very happy with everything shadowcaster has done for me. shadowcaster went beyond my expectations and delivered a great design. Even after the contesrt was over he helped me with some other design work to finalize everything. 5 STAR REVIEW!" "Denny is a great designer to work with!!" "Second time now that Denny has delivered exactly the logo I was looking for. Good work!" "Great designer. Does the job quickly. Highly recommended. " "Great to work with. Nailed our logo design the first try and was nothing but professional throughout our 99designs experience. A pleasure to work with." "Awesome job. Very tentative. Very skilled. Went above and beyond to meet our needs, would recommend to anyone!" "I am so thrilled having had an opportunity to work with PrincessPro. She is very creative, talented and skilled indeed. Even better she is sweet, responsive, kind and helpful. We are new to 99designs and I didn't know I could check the history of the..."
"Working with shadowcaster was an incredible experience! I can't say enough about how helpful he was and how well he understood what we wanted. He helped us get our final design to a place that we proud of and excited about. Besides that, he's an all aro..."